For years and years the Mediterranean (France, Spain and Italy) seemed to be the most popular holiday destination for the people in Europe. But slowly there seem to be more and more travelers choosing the northern part of Europe instead of the ‘usual southern Europe’. It is actually becoming quite the popular holiday destination nowadays. More and more people seem to discover the beauty, peace and quiet Scandinavia has to offer. 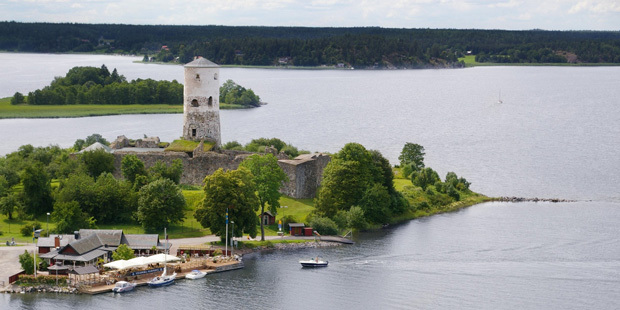 Here’s our advice: visit the region south of Stockholm in Sweden (Söderköping, Valdemarsvik and Norrköping). In Sweden you’ll find a mixture of nature, lakes, seas and old medieval villages, hence: all the ingredients to enjoy a totally different holiday break. A very good meal will be served at Stegeborg, a restaurant and hotel situated by an old ruin (where the most powerful royal families used to meet each other during the medieval ages). 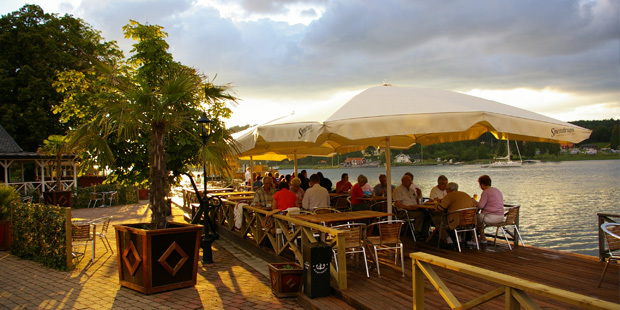 You can sit at a candle lit table right by the water: the place is magical when the sun sets. Don’t worry about the cold, we know it’s no St. Tropez, but they do have nice soft blankets to keep you warm when the temperature drops. Of course you should order the typical Scandinavian food: deer. At Stegeborg they know how to prepare one!